This afternoon the School Council met with the Fairtrade Ambassadors to discuss Fairtrade Fortnight and if any improvements could be made for next time. The council reps also discuss badges and a garden proposal. We received lots and lots of applications from children wanting to be Fairtrade Ambassadors. After a lot of discussing our four new Fairtrade Ambassadors are Charlotte, Abigail, Daniel and Josiah. Charlotte, Abigail, Daniel and Josiah will be closing working with School Council from now on and their first job will be helping to organise Fairtrade fortnight and to attend the Fairtrade Ceremony at Leeds Civic Hall on Friday 27th February. The Fairtrade Ambassadors will be talking to School Council about Fairtrade Fortnight on Wednesday 11th March. School Council met this afternoon to vote for the winning poster design/s that will be displayed around school to advertise for Fairtrade Ambassadors. The winning posters were designed by Mya in Year 4 and Maisie in Year 2. Congratulations to them both. School Council also discussed Fairtrade week and the donation that we had been given by St Johns Church. School Council representatives will be busy over the next few weeks designing posters to advertise that school is looking for 4 children to become fair trade ambassadors. After the Christmas holidays look out for the posters if you are interested in applying to be one of the ambassadors. This afternoon School Council took part in a workshop about garment workers led by Hannah from Leeds DEC. Through various activities and case studies they learnt about in which countries most of their clothes and shoes are made in, tried being a factory worker making baseball caps and designed t-shirts. 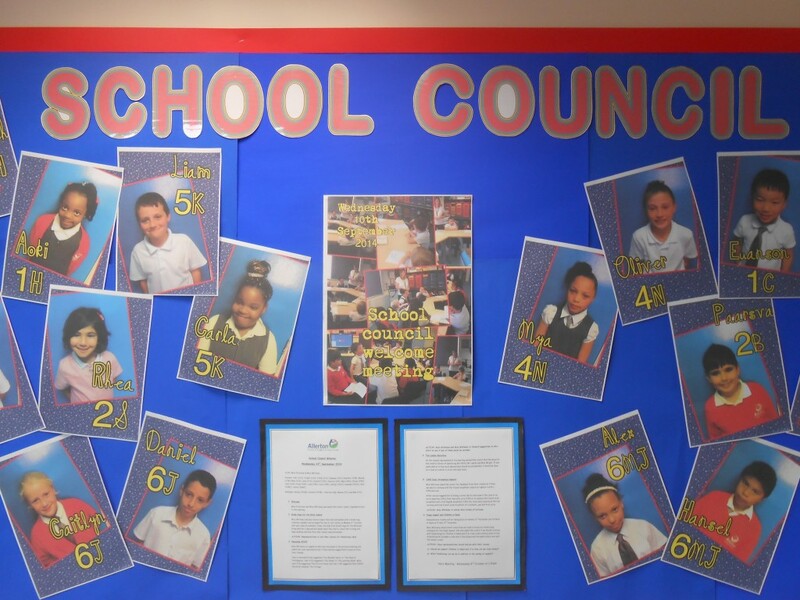 School Council will be looking at running their own workshops with children in KS1 and KS2. 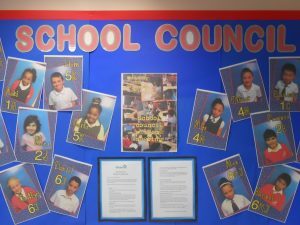 The next school council will be held on Wednesday 2nd April. We will be focusing on Fair Trade by reviewing the events that took place in school during Fair trade fortnight. We will also be discussing possible future events and how we as a school can continue to raise awareness.